I have a few friends who use currently Clayton Croy’s book and I know several others who are planning a switch to Rodney Decker’s new textbook. I’m in the process of investigating both of those books, but for now I am actually soliciting your help. If you currently teach Biblical Greek or are currently learning Biblical Greek with something other than Mounce, please do me the courtesy of telling me what you use and why you find it helpful. I appreciate the help in advance. Thanks! I am still using Mounce as well. I have reviewed Decker’s Grammar and honestly find it superior in terms of content, especially for the graduate level, but the format I think is too overwhelming and cluttered. I think the simplicity of Mounce’s presentation, even though aspects need to be supplemented, is still superior to anything else available. Sometimes aesthetics win (well, at least for me). Thanks, Chad. I need something that is “uncluttered” as I’m teaching undergrads exclusively….and most those who have never been exposed to the study of any language other than English. I first took Greek using Croy, then studied on my own using Mounce, and finally solidified my knowledge using Baugh’s Primer (http://www.amazon.com/New-Testament-Greek-Primer-Edition/dp/1596386460/ref=pd_sim_14_1?ie=UTF8&refRID=0K80R25J9XW0P2HSDRER). My favorite by far was Baugh. It is cheap (a helpful attribute for students) and, more importantly, has an eye towards the goal of reading Greek, not just on grammatical instruction. The practice sections (which, like Croy, come with the grammar, not in a separate workbook) have some unique and varied activities that keep them fresh and the student engaged. The weakness is that it must be supplemented by a “next level” grammatical work (such as “Beyond the Basics,” Wallace), but Baugh has also come out with a “First John Reader” (http://www.amazon.com/First-John-Reader-S-Baugh/dp/0875520952/ref=pd_sim_14_2?ie=UTF8&refRID=0K80R25J9XW0P2HSDRER), that can easily supplement the Primer, and also, again, emphasizes the reading of the Greek text, not just bare grammar. I assign Croy. If Mounce is more simplistic than Decker, then Croy is more simplistic than both. What I like most about Croy is the sequence of the lessons: you learn the present-active-indicative paradigm immediately, and then declensions, the article, etc., so students are translating full sentences quite early. If I recall correctly, Mounce doesn’t introduce verbs until later. I first learned with Black nearly 20 years ago. I didn’t much like it then, and I’m not sure it’s even around any more. As with most things, I learned so much more when I taught. It’s been several years since I’ve taught an introductory course at the seminary level (never taught undergrads). When I first started teaching I didn’t have the time to create handouts and worksheets and collate outside readings. I was trying to write a dissertation at the time! Because of the lack of time and energy I appreciated the departmental assignment of Mounce. It and the online aids were extremely helpful to first-time instructors. I stuck with Mounce for the several years I taught, but I did start to supplement it a bit more toward the end. From what I can tell, there is no perfect textbook, because each instructor is different and wants different things from the textbook he/she uses. I think it might be helpful if you were to outline the shortcomings of Mounce for you, and list some of the things you are looking for in a textbook. I don’t recall the exact numbers, but Mounce dominates the textbook market right now. I’ve taught first-year Greek with the Croy book for about five years. It is extremely clear yet not overly technical in its explanations. It also offers abundant exercises (Croy’s own and always some from the LXX and NT), which I use as extra examples during teaching. A problem is that Croy puts too much emphasis on accents, especially early on, but I bypass that problem. The students like the book as well, and it is inexpensive. There’s also adequate white space on the pages for taking notes. I really like the book and think it helps to make teaching Greek a lot easier than otherwise. As a pastor ten years removed from seminary, I’m currently reading through Decker to bone up on my Greek. It’s been helpful for me and I highly recommend it as a review or reference work for those that already have a year of Greek under their belt. Yet I would have been overwhelmed by Decker in my first year of study. There is simply too much information. 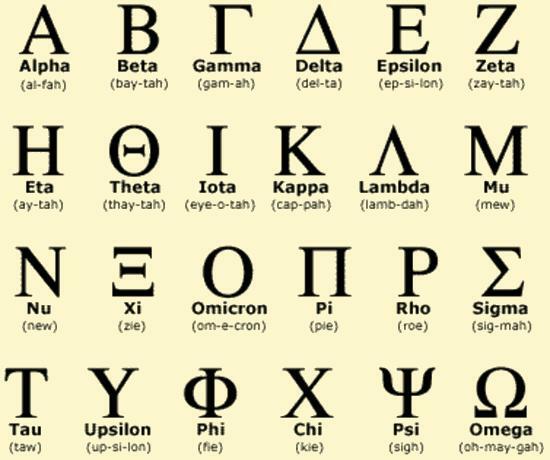 And the practice verses often require more Greek knowledge than has been previously taught. An instructor that used this as a first year textbook would need to modify or simplify many of the practice verses. Thanks, Ron. I appreciate the comment. After all of the endorsements of Decker, I am probably going to start using portions of it to bolster what I’m already using.